Returning home after a victory at cross-city rival Robert Morris, the Pitt men’s soccer team has an opportunity to create something Friday that it hasn’t had since late August: a winning streak. The Panthers, coming off of a 2-0 victory against the Colonials, will play at home Friday at 7 p.m. against the Virginia Cavaliers, ranked 19th in the nation. In order to maintain the success it had in the last game, Pitt will want to continue its reliance on the counterattack, which contributed to both goals against the Colonials. The Panthers switched the field quickly against RMU and could have scored more goals had they been able to finish in the final third of the field. 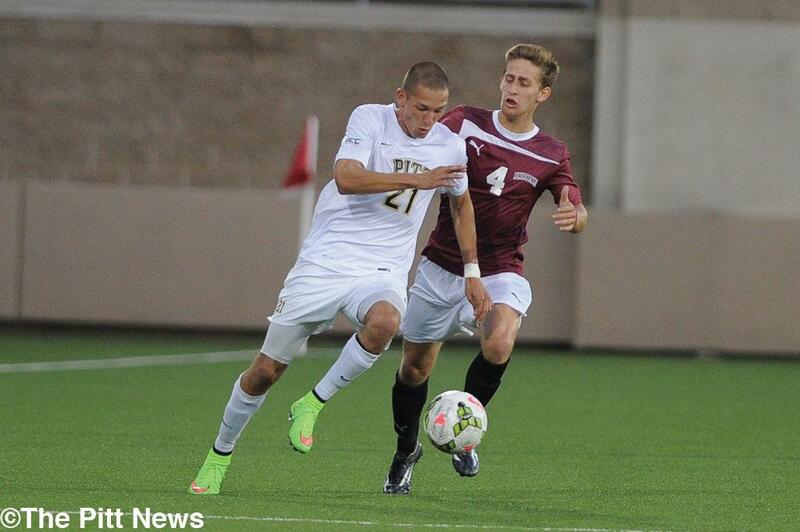 Pitt likely won’t get as many opportunities against a top team like Virginia (5-3-1, 1-1-1 ACC). Virginia is a much tougher team to break than RMU, which plays in the NEC (Northeast Conference). The Colonials have had a rough start to the season, losing to less-than-impressive opponents like Duquesne and Liberty. Comparatively, Virginia has beaten cross-state rival Virginia Tech and drew against the No. 1 team in the country, Notre Dame. While the Cavaliers, like the Panthers, have played a tough schedule to date, they also share a similarity in offensive inconsistencies. Both Virginia and Pitt have scored nine goals in just as many games this season, averaging a lackluster one goal per game. Offensively, Virginia is led by forward Darius Madison, who has five points on the season. The Cavaliers’ No. 9 might be the biggest threat the Panthers have to contain on Saturday. Coming off of a two-goal performance, Pitt must try to take advantage of Virginia’s inconsistencies in converting in the final third of the field. Defensively, the Cavaliers are as compact as any team the Panthers have played and has yet to give up more than two goals in any game this season. They are led by goaltender Calle Brown, who’s made a total of 32 saves over Virginia’s nine games. Pitt hasn’t had success against ranked teams this season, getting outscored 7-1 on the road against North Carolina and Louisville. However, both of those games were on the road against slightly higher-ranked opponents. Virginia has yet to win a road game this year, and the Panthers think they can surprise the Cavaliers to gain their first-ever ACC win. The Panthers’ tough schedule, especially on the road against ranked opponents, should help them going into this game, as they will know what to expect from Virginia.